We will be giving away scooters and other toys to children up to 15 years old. There will also be a drawing for 10 bicycles (children ages 5-14 can register to win). Arrive early, registration will begin by 2:30 pm. We have GIVEAWAYS from Bed Bath & Beyond and The Home Depot (bathtubs, shower, flooring, doors, comforters, bedding, blinds, decor items). Don't miss out! This is a free concert, and community event. Spend a day with the community and meet new friends. Xclaimed Ministries is an outreach ministry spreading the love and Gospel of Jesus Christ to as many people as possible. 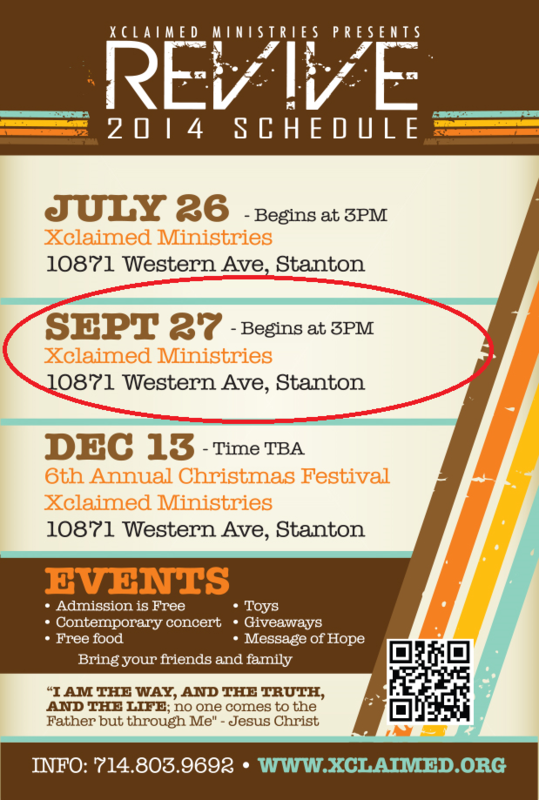 To date, more than 25,000 people have heard the Gospel of Jesus Christ at Xclaimed Ministries events; help us reach even more, bring your friends, family and anyone else to this event. In conjunction with other organizations, churches, individuals and corporations, we provide community events and resources to the community. 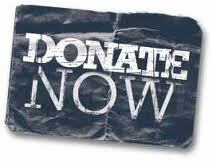 We have a desire to help establish stronger families and community as we share the Gospel of Jesus Christ. Lots of chopping and sorting. Lite lifting. We are sending the message of Jesus Christ around the world via the Internet. Over the past month, we have been focusing on our YouTube Channel. Our two channels have now reached over 451,000 people in hundreds of countries and is growing at nearly 800+ views each day. Subscribe to our YouTube Channel today.